‘90 Day Fiancé’ Stars Paola & Russ Mayfield Expecting First Child! There's a bun in the oven for “90 Day Fiancé: Happily Ever After?” stars Paola and Russ Mayfield. The two confirmed the pregnancy to US Weekly and reposted a photo on Instagram that showed them sharing a kiss while holding up a pregnancy test. Russ also shared a pic with the message, "We are thrilled to announce that we have a little one on the way! So much to prepare for and the cravings have started for the both of us 😋 I cannot express the amount of joy I have in my heart for our expecting baby. I believe this new chapter will bring more hopes and dreams that we will ever imagine. So much happiness is on the way!" The two met in 2013 while Russ was on a work assignment in Colombia. After quickly falling in love, Paola moved to the United States to be with Russ. The TLC personalities married in his hometown in Oklahoma. 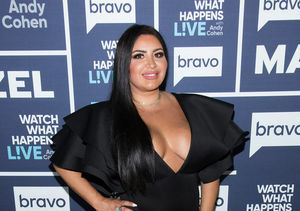 Earlier this season, the couple revealed their efforts to conceive, and that they unfortunately suffered a miscarriage. During the TLC docu-series, a doctor explained to the model that the miscarriage was a result of her having type O-negative (and Rh-negative blood), which is rare. According to the American Pregnancy Association, if you are Rh-negative you may develop antibodies to an Rh-positive baby, which can lead to complications. The devastating news, along with issues in Paola’s modeling career, and her grandmother’s battle with cancer, all seemed to put a strain on the couple’s relationship. Russ, however, assured fans everything was okay. Part 2 of “90 Day Fiancé: Happily Ever After?” airs Sunday, July 29 on TLC. 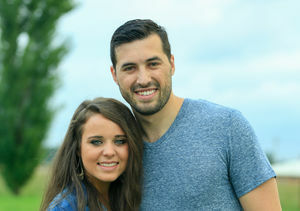 Jinger Duggar & Jeremy Vuolo Welcome First Baby — Find Out Her Name!